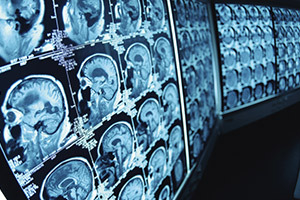 The common cause hypothesis states that hearing loss and cognitive decline both involve age-related problems, such as tissue degeneration of the central nervous system. The cascade hypothesis theorizes that over time, untreated hearing loss results in inadequate brain stimulation, leading to cognitive decline. The study referenced above involved 2040 hearing aid users who self-reported symptoms over 18 years. Results showed that while episodic memory did decline with age for most users, the rate of cognitive decline was slower for patients who used hearing devices. These results were adjusted by researches to account for overall health, socioeconomic status and other demographic characteristics. While hearing aids do not prevent cognitive decline, mounting evidence suggests that they can slow it down. Those who wear hearing aids are less likely to be depressed and more likely to be socially engaged and self-confident in their communication abilities. Social engagement and physical activity help stave off cognitive decline and dementia. You should be fitted for hearing aids by an expert audiologist even in the early stages of hearing loss. Be proactive in your hearing care! Schedule regular hearing evaluations to help stave off the effects of cognitive decline. Source: Maharani, A., Dawes, P. et al. (2018) Longitudinal relationship between hearing aid use and cognitive function in older Americans. Journal of the American Geriatrics Society. Published online April 26.